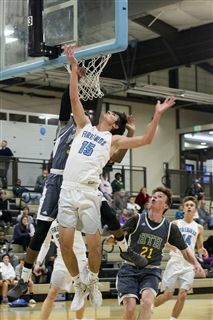 On Wednesday, January 24, the boys varsity basketball team won their biggest game of the year against Maranatha Christian, which is ranked in the top 20 of all San Diego County teams. The team relied on incredibly tough defense, holding Maranatha to 39 points, their lowest point total of the season. On the offense, the Firebirds moved the ball effectively, hitting timely shots and ultimately closing the game with 45 points. All Firebird fans are encouraged to cheer the team on February 9 when they face Maranatha again.